At Wallace Custom Design & Renovation, it’s not just about restoration and renovation, but also about infusing modern building design and materials into existing homes and neighborhoods. Creating new spaces to live is, for us, a labor of love. We pride ourselves on delivering every client a specialized team of professional craftsmen who mix a little imagination, a lot of passion, and consistent attention to detail—all to maximize your home’s beauty and function. Our ultimate goal is for the home to become you. Wallace specializes in whole house transformations and large scale additions. Wallace undertakes smaller scale projects, such as kitchen, bathroom, and master suite renovations or additions, as well as other specialty projects, depending upon scheduling. Check out our Gallery to see Wallace’s work. Inquiries are also welcome for individuals desiring a new custom home, as well as assistance with purchasing a home with an eye toward renovations. Jeff Wallace is the principal driving force behind the vision of Wallace Custom Design & Renovation. He began his career over 35 years ago in Northern California building custom homes. 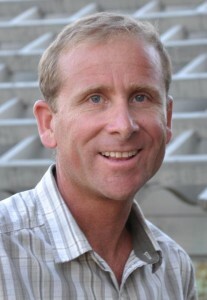 Jeff moved to Boise in 1994 to enjoy the opportunities, lifestyle, and scenic beauty of Idaho. In 1997, Jeff began working for a prominent Boise remodeling company and in 1999 began what would become Wallace Custom Design & Renovation. Since founding the company, Jeff has led it to reach new heights and standards for custom construction in Boise. Jeff is an expert craftsman, continually educating himself about the latest innovations and materials used in the industry, including “green” products and the creative use of materials such as steel, concrete, and stone. Jeff’s accomplishments include several whole house renovations in Boise’s North End, having transformed what were once dilapidated shacks into stunning yet liveable homes. Jeff has also restored the interior of a period Historic Queen Anne home, created additions on North End bungalows that seem to have always been there, and built his own home resembling a modern Cape Cod in the Foothills. Browse our gallery and take a look, or visit Wallace Renovation’s Facebook page. On the personal side, Jeff is married and has two children. He enjoys all forms of cycling—road, mountain and gravel riding — as well as snowboarding, and kicking the soccer ball with his children.